Having struggled to make it as an A-lister since ‘The Matrix’, Keanu Reeves goes back to his indie roots for this low-key, affecting ’70s-style crime comedy. The story begins quietly – perhaps too quietly – as hapless tollbooth operator Henry (Reeves) gets entangled in a bank robbery and is hauled in for a three-year stretch. Once released, Henry decides to commit the crime he’s served time for, hauling in bedraggled former cellmate Max (James Caan) as back-up. All fairly predictable – until the arrival of love interest and jobbing actress Julie (Vera Farmiga) takes Henry – and the film – in an unexpected direction. British director Malcolm Venville (‘44 Inch Chest’) handles the script’s shifts in tone with a sure hand, moving easily from autumnal drama to romantic comedy to suspenseful thiller, layering in a great soundtrack of ’60s soul. But it’s the cast who shine: Reeves plays to his strengths as the buttoned-down everyman, Farmiga radiates warmth and Caan hasn’t had a role this meaty since ‘Misery’. A quiet triumph. forgot the ** and they all belong to James Caan. Enjoyed 44 INCH CHEST a lot more. This is the greatest fils I've ever seen! I used to think that "The Godfather" could not be surpassed; it has been now! A triumph. Not a bad little film. It has an offbeat, quirky sense of humour throughout. If you're expecting a mainstream robbery film like Heat or Ocean's 11, you'll be disappointed. 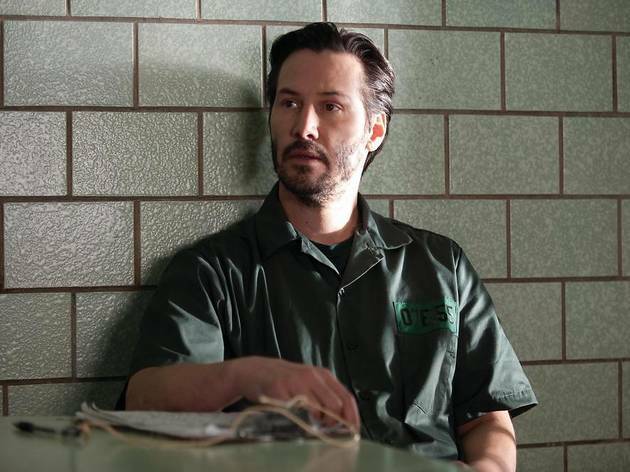 Keanu isn't too bad in the central role (for Keanu), Caan gets to play a quieter meatier role than usual - but the best thing about this film is Vera Farmiga. She's great in just about everything I've seen her in - and here she manages to have character depth while showing great comedy timing with some of her lines. Plus, she's not bad to look at! Iâ€™m really surprised Time Out hasnâ€™t featured this film in a more prominent position. Iâ€™m also surprised how little money has been spent promoting it with trailers. 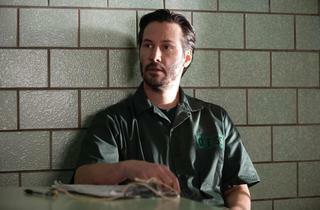 Now a middle-aged man, Reeves really shows he can act in this film. Thatâ€™s not to say his past work is bad (though â€˜The Lake Houseâ€™ was truly dreadful), but it has been fairly mainstream. Thereâ€™s a nice, clever storyline here, with a faultless cast, and excellent humour. Vera Farmiqa (Reevesâ€™ love interest), is really good, as is James Cann. If Jeff Bridges deserved his gong for Crazy Heart last year, then Iâ€™d really like to see Reeves nominated for an Oscar for this one. All I can say is if you only go to the movies now and then, make sure itâ€™s this one you go see. REALLY COOL FILM ! GO SEE !